Hostal Orleans, Barcelona, Hiszpania : Rezerwuj teraz! At that time he was given a cleaner look and care after it has been reforming and expanding to provide better service. Each year we aim to make improvements to it, so you can have all the comforts of everyday life. 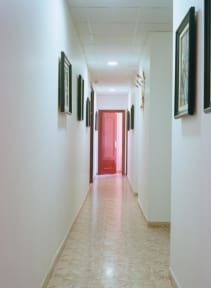 The property has heating for winter and air conditioning in summer in all rooms. Rooms with balcony overlooking the street, and room inside, which are quieter as the city noise. There is a spacious living room that makes common space in which there is a machine for cold drinks and hot drinks. There are also two computers with internet access. 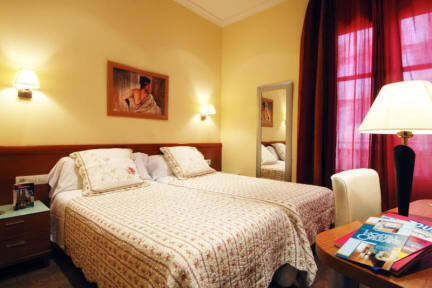 Moreover, most of the rooms have telephone and free internet cable or wifi. Shopping is accessible by bus/taxi and the nightlife/restaurants are easily accessible by taxi or bus from the hotel.